China has landed its first robotic lander on the moon, a historic lunar arrival that makes the country only the third nation to make a soft-landing on Earth's celestial neighbor. 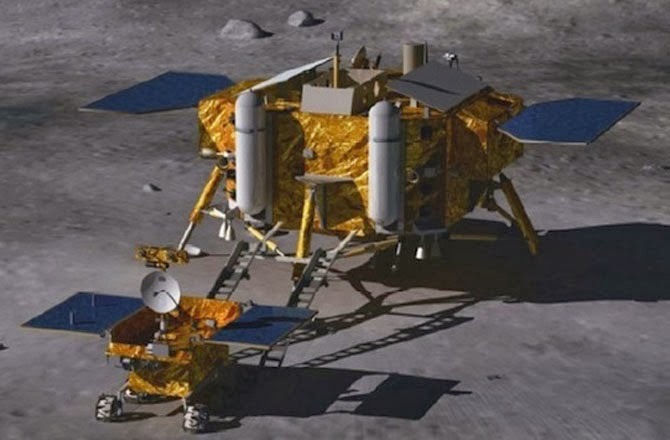 China's Chang'e 3 moon lander and its Yutu rover touched down on the moon Saturday (Dec. 14) at about 8:11 a.m. EST (1311 GMT), though it was late Saturday night local time at the mission's control center in Beijing during the landing. It is the first soft-landing on the moon by any spacecraft in 37 years. Chang'e 3 launched toward the moon on Dec. 2 Beijing time to begin its two-week trek to the lunar surface. The spacecraft arrived in lunar orbit about five days after launch, and then began preparing for landing. A camera on the spacecraft snapped 59 photos of the moon during the descent, including a view straight from the lunar surface just after touchdown. (See photos from China's Chang'e 3 moon rover mission)Read More..